The Wild Women Adventure Race was Australia’s FIRST ever all-female adventure race originallay conducted back in 2012 by ‘Dare You Adventure’. The event itself was conceived by Jan Leverton and Kim Beckinsale, who at the time wanted to provide women with an opportunity to participate in an adventure race in an all-female environment. 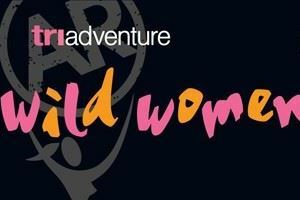 Tri Adventure have now taken over the management of the event, so Jan and Kim take a step back and put their years of experience to work so that the Wild Women Adventure Race continues to attract new women to the sport . The Wild Women Adventure Race is about getting out of the gym/office/house and into the wild, to experience all the thrills of all-women’s adventure racing in teams of two. All you really need is a basic level of fitness, a female friend and a willingness to try something a little different… and get out and go wild! Oh, you will also need a mountain bike, comfy running shoes, clothes you can get wet in and a few other things (see ‘Equipment’ page). Imagine the possible adventure you’ll have when you find yourself out on the trails in the beautiful and spectacular Sunshine Coast. So, dust off your mountain bike and get in a little training. We can’t wait to see you. Competitors can expect between 20 to 30 km of mountain biking, 8 to 15 km trail running/trekking and 1-3 km of kayaking/paddling (water discipline). There may be multiple legs of each discipline. What are you waiting for, it’s never too late to try something new, exciting and different.